As September progresses signs appear around the country for Pick Your Own Apples – one of my favourite fruits and a sign that Autumn is really on its way. Making a field trip out of the apple picking for your little Kindergartener is great fun, and adding in a little extra learning along the way makes for an even better experience. Here’re 5 simple ideas that you can do whilst you head to the Orchard on an Apple Picking Field Trip. Don’t miss the other ideas for Apple learning for your Kindergarten kids at the end of the post. As you pick your apples you’ll be collecting them into a basket or bag, now is the perfect time to play a guessing game – “How many apples do we have?” – you will be amazed at how many they will estimate are in the bag from 1 to the biggest number they can think of. Once you have a number they think is in the container then sit down and count them. By the end of the Kindergarten year children will be able to count to 100 and recognise the numbers 1 to 20 so sitting down and counting out the apples you’ve picked is a great way to continue counting past 10. Remember cloud trees that kids tend to draw, a stick trunk and then a cloud top of the tree. Sitting amongst the apple trees children will see that trees are cloud trees that they appear to be far away, instead there are sticks and branches, leaves in clumps and spaces plus the apples. Provide them with pencils, wax crayons or washable markers and sketch pad and let them draw what they see. Observational drawing is a great skill and it is time for some resting on your field trip. Send the children off on a scavenger hunt to find natural textures, leaves, bark, stones, sand (provide some plastic bags) and soil as well as anything else they may find. Collect and then when you return use these materials to create some nature Collages from the finds. No field trip in our house is without a game of I Spy whether it’s on the road on the way there or when we arrive, sitting playing I Spy with the phonemes is a fun way to get the children thinking and reviewing those initial letter sounds of words. Don’t be surprised if random none seen things creep in, as long as they have the right letter to start with you’re working on those sounds. If you’re lucky to be in an orchard with different apples growing them, it’s ideal for some sensory exploration with an apple taste test. Even not you can come prepared with a selection 4 or 5 different sorts of apples from the market for them to taste. Cut small chunks or slices and get your child to explain what they see first, how it feels, then to taste, what does the taste like, how does it compare to others, what does it feel like in their mouth and then order them with their favourites to least favourite taste. So many brilliant ideas. I love the thought of doing a taste test! You certainly made the most out of your field trip – so many learning opportunities I never would have thought of! Visiting an apple orchard and combining learning is fun for everyone! It’s always a good idea to work on estimating skills because I find this is difficult for many of my elementary aged students. I love all the extension activities you mention. We will be going to pick apples soon and I will keep a few of these in mind! 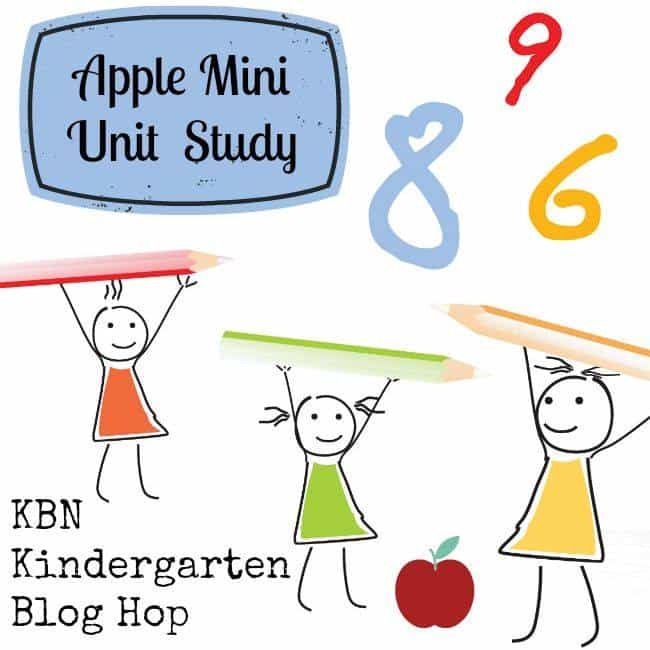 Thanks for participating in the KBN Kindergarten Blog Hop!